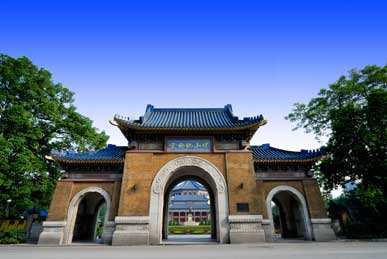 Built for the memory of our Founding Father Dr. Sun Yat-Sen, Sun Yat-sen Memorial Hall is reputed as one of the landmarks of Guangzhou. 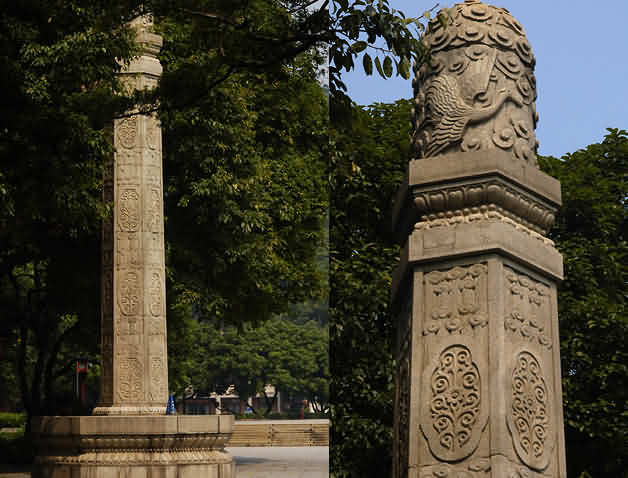 It is an important location for meetings and performance so it is the witness of many historical events of Guangzhou. 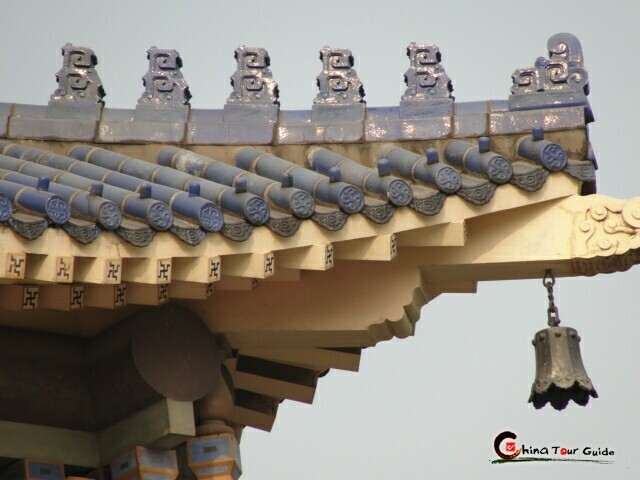 It is also in the list of "Cultural Relics of National Importance under the Protection of the State and the province". 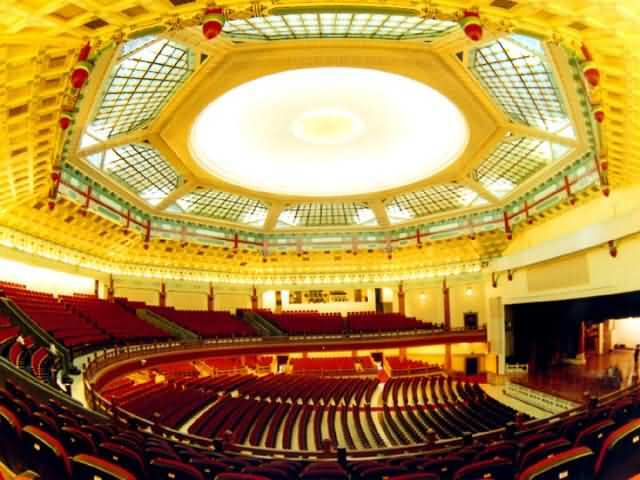 The memorial hall, with all the excellent elements of the traditional features of Chinese constructions, is resplendent and magnificent. 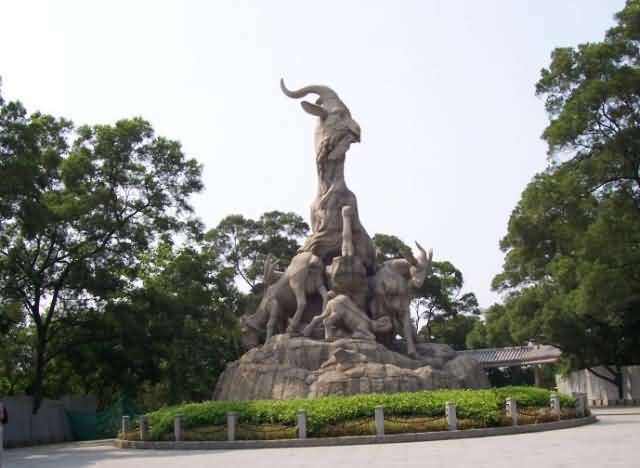 The memorial hall refreshes the history and help people to memorize the great revolutionist which attract lots of tourists. 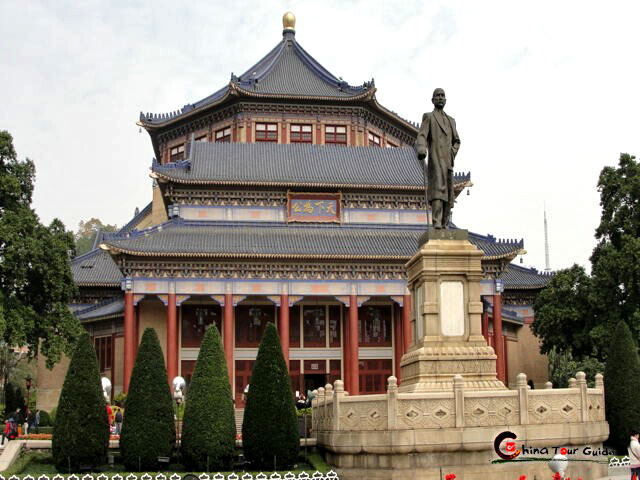 The magnificent of Sun Yat-sen memorial hall make it become an important tourist attraction in Guangzhou. Like George Washington in United States, Dr. Sun Yat-sen (1866.11.12-1925.3.12) is honored as the Founding Father no matter in mainland China or Taiwan. He led the revolution of overthrowing the Qing Empire, the last feudalism society of China and committed himself to the found of democracy. 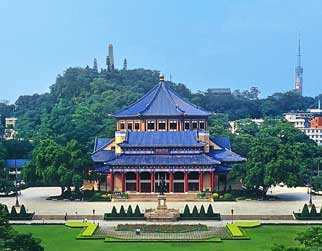 Designed by the famous architecture designer Lu Yen-chin, Sun Yat-sen Memorial Hall was built in 1929 and completed in 1931. 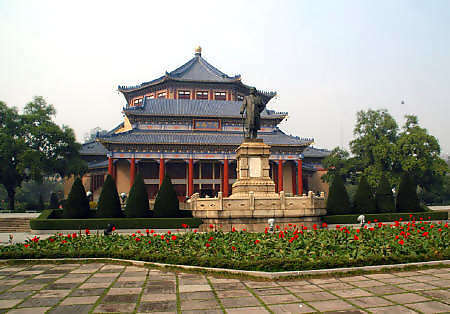 With a history of 80 years, Sun Yat-sen Memorial Hall was designed by the famous architect, Lv Yanzhi to memory our great revolutionist Dr Sun Yat-sen. With an area of 62,000 ㎡, the memorial hall is an eight-square shaped construction with spectacular layout which presents the national characteristics. It has a huge arena inside which can hold more than 3000 people. 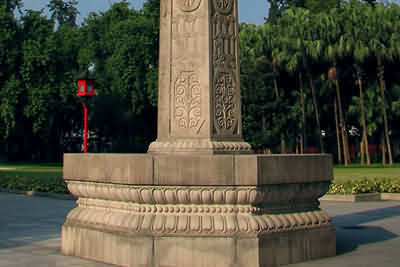 A monument of Dr Sun Yat-sen is seated in front of the hall with an area of 30 ㎡. It is a taper-shaped monument made up of marbles. 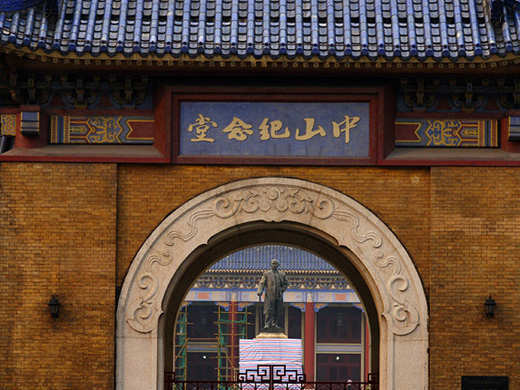 A huge plaque is hanged on the top of the hall which has Dr Sun Yat-sen's calligraphy on it. 16 levigation steles in bright red are seated under the brim. 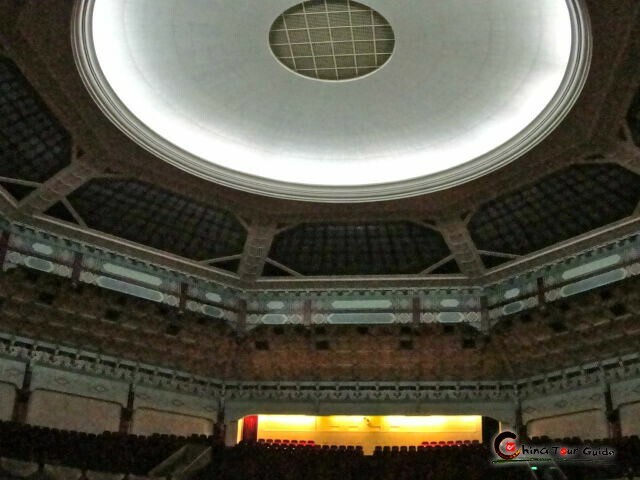 The golden peak of the memorial hall is in ellipse shape with the height of 12.4 feet (3.72 meters); the max diameter of the peak is about 13.4 feet (4 meters). The surface of the peak is all bordered with gold. The hall was rebuilt in 1998 with some improvement on the facilities. 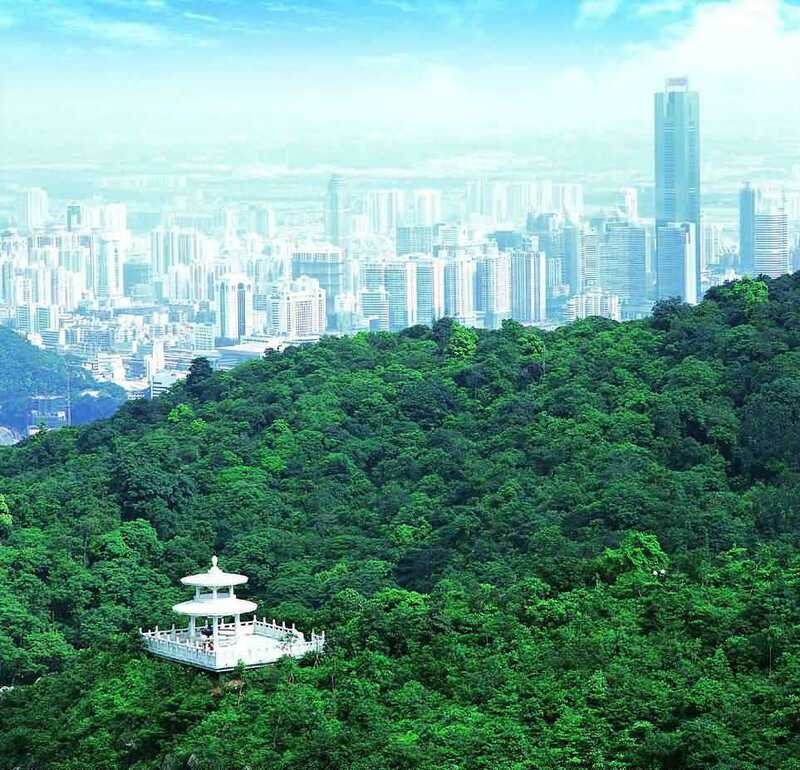 Now it becomes one of the most typical architectures in Guangzhou. Ceiba is known as the flower of the city. 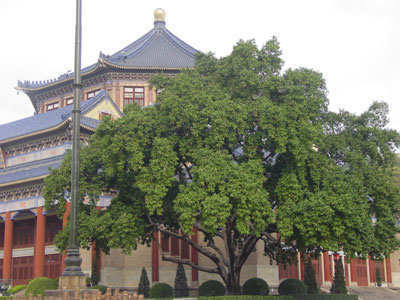 The oldest ceiba tree is located in Sun Yat-sen Memorial Hall. 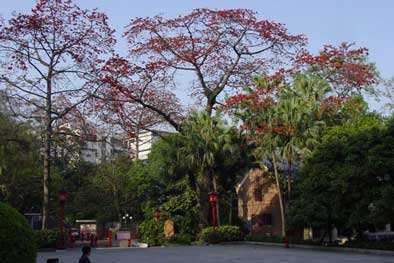 With a history of more than 300 years, the ceiba tree is a witness of the development of Guangzhou. In spite of the oldest ceiba tree, there are also two biggest White Jade Orchid Trees in the hall. They were planted during the complete of the hall's construction, standing like two faithful guards protecting the hall.